SICILY. 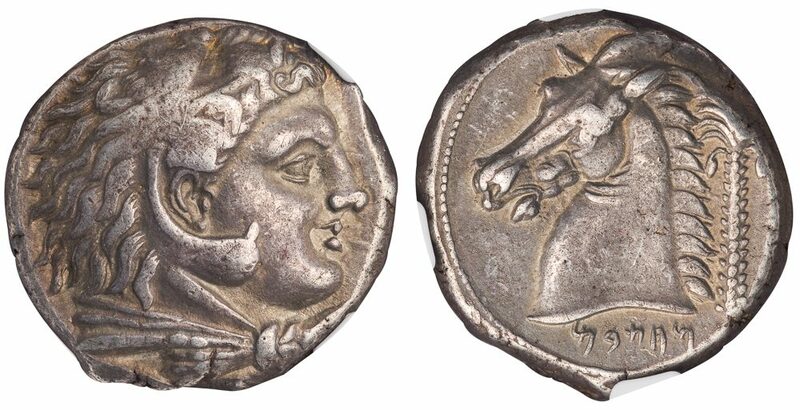 SICULO-PUNIC COINAGE OF ENTELLA, ca. 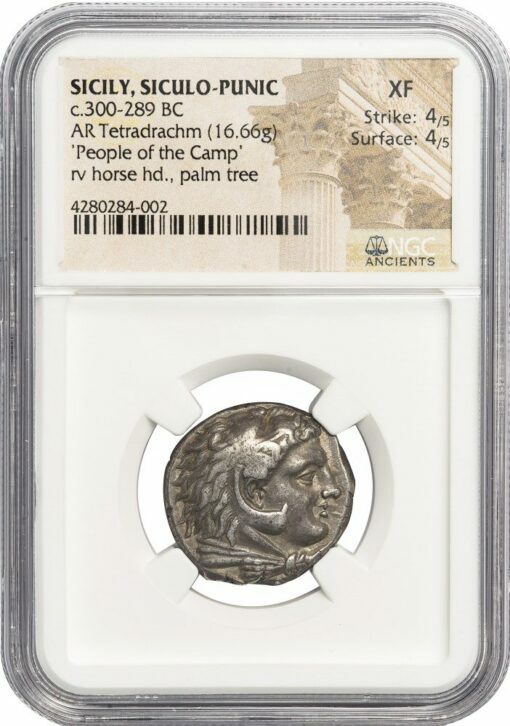 300-289 BC. 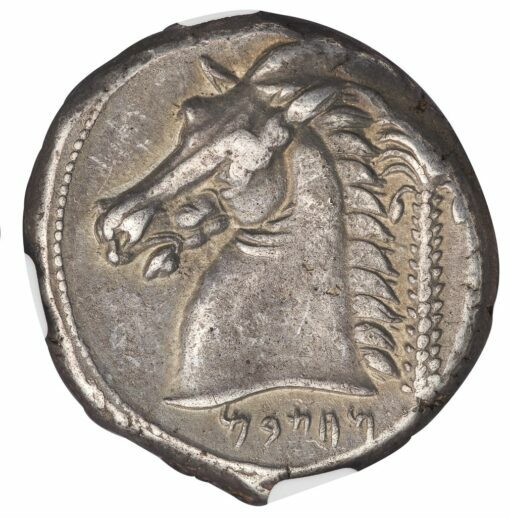 Silver tetradrachm, 16.66 g., 23 mm. Obv. 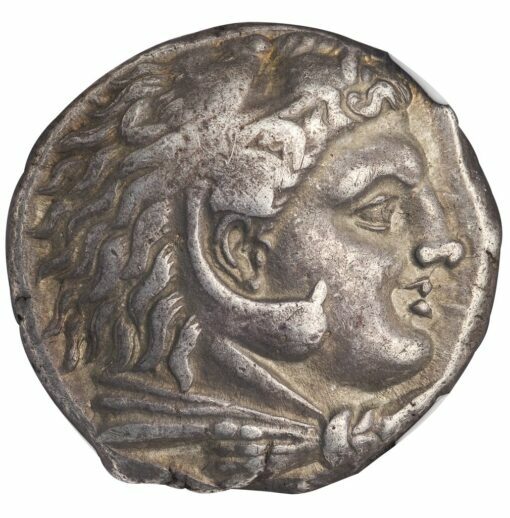 Head of Herakles right, wearing the lion skin. Rev. Horse head left, palm tree behind, Punic inscription below. NGC graded XF, Strike 4/5, Surface 4/5.